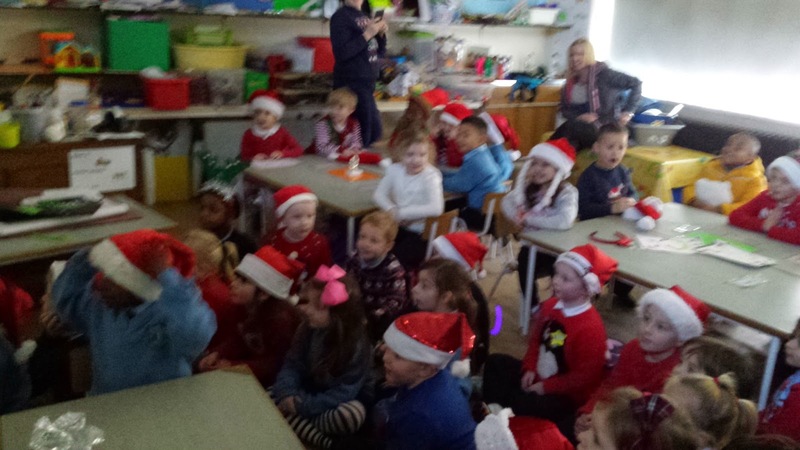 Happy New Year from all of us in Room 1. 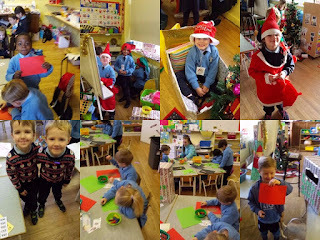 We had lots of fun in December with the lead up to Christmas. 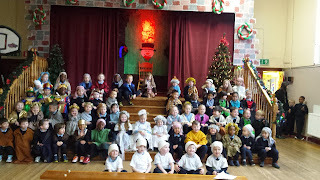 Our highlight was 'The Nativity Play'. All three Junior Infant classes put on a show for parents. 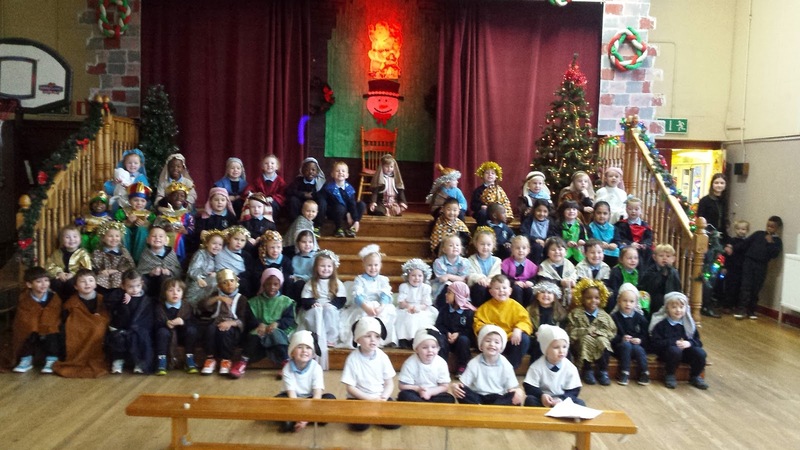 Our play was called 'The Sleepy Shepherd'. We practised every day for one month. 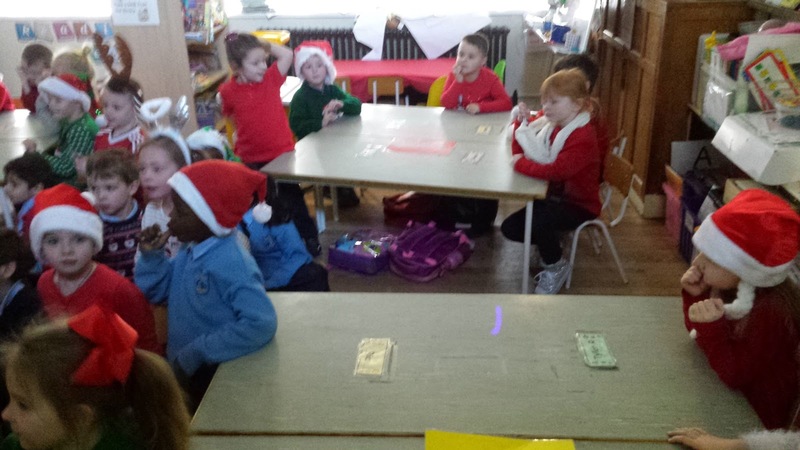 It was a very busy time as we had 7 songs to learn. Each song had lots of actions to remember. We did ourselves proud on the day. 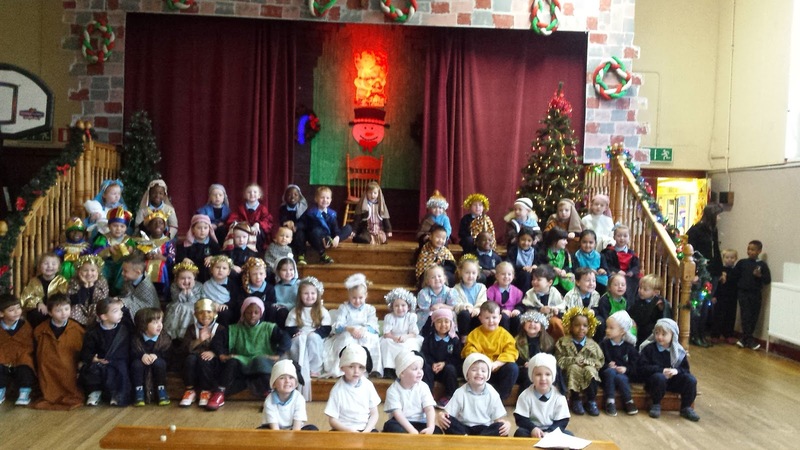 We recorded our performance of 'The Sleepy Shepherd'. 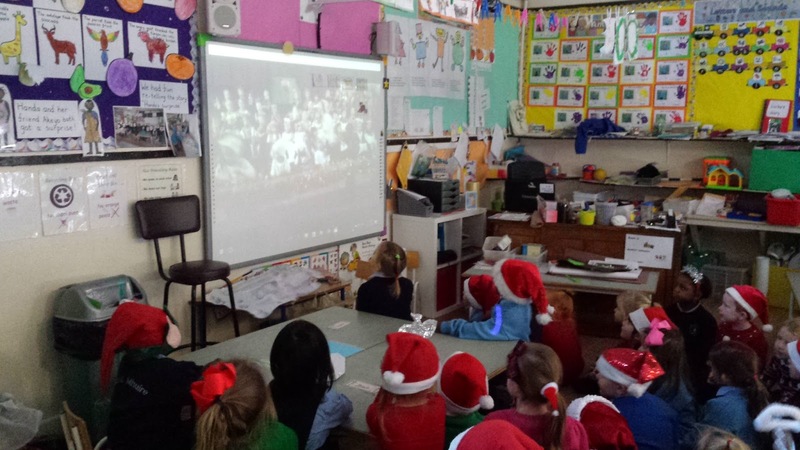 We visited Room 3 where all three classes watched back on our play. This was really fun as we could see ourselves singing. 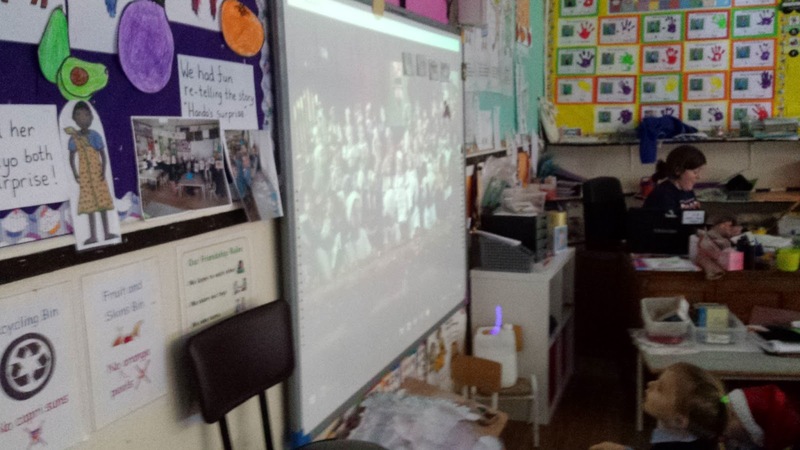 The speaking parts were so loud and clear and we were very proud. 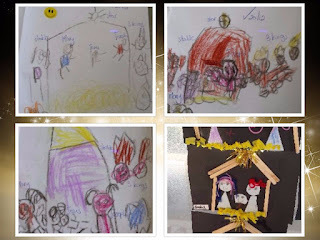 Teacher read a story to us called 'The Christmas Story' and we drew pictures in our copies. 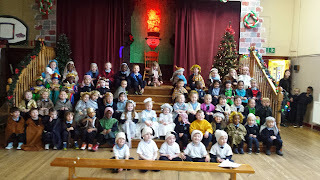 It is a really lovely story about the baby Jesus. We are great little artists in Room 1-check out some of the Christmas art we made in December. 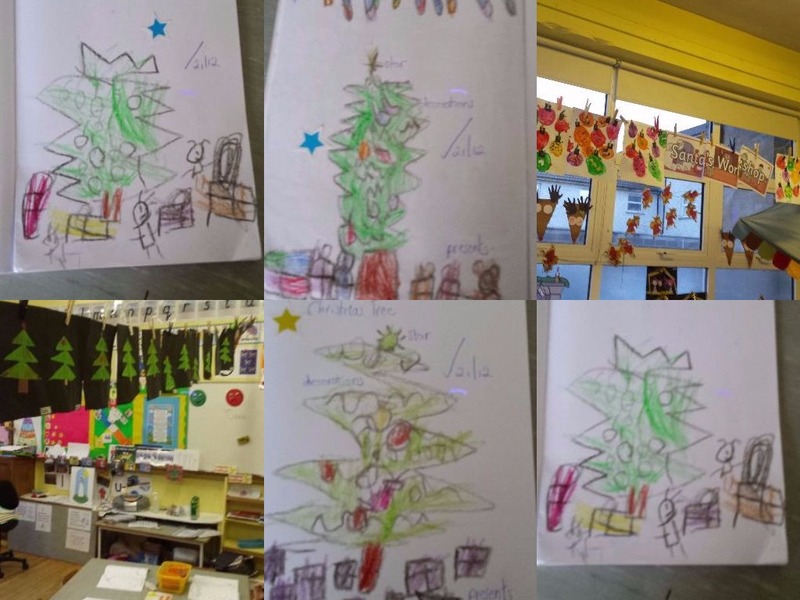 It involved cutting, pasting, drawing, painting and using clay. We used lots of glitter-it was very messy but we had fun!